On a recent flight from Houston to Chicago, I was working in First Class as the number one flight attendant. Three of my seven first class passengers were a family from England. 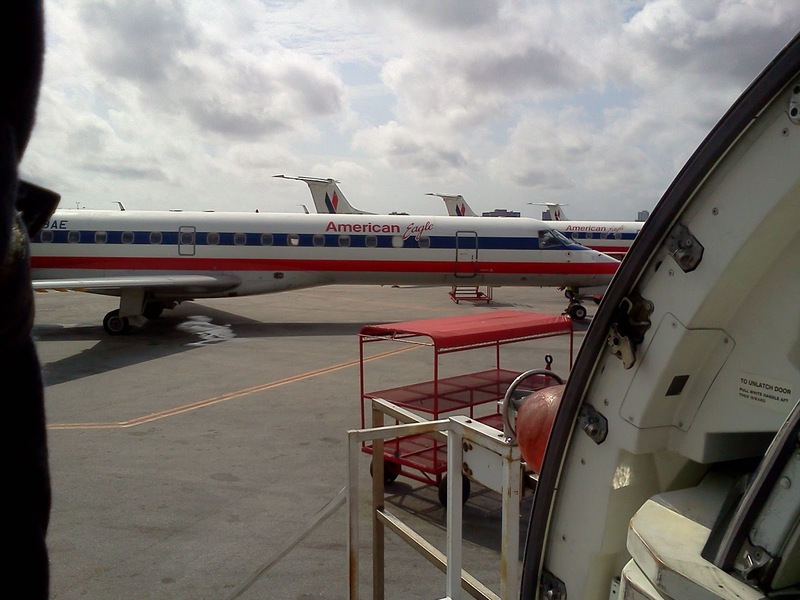 A mother traveling with her son and his grandmother sat in the bulkhead which is row one our CRJ 700 aircraft. The little boy was adorable, he asked for biscuits as soon as he was seated on the plane. Biscuits in British English means cookies, so I gladly obliged by giving him biscuit cookies. He happily devoured them, several of them. The sugar high kicked in and he started crawling of the floor. His mother wanted more cookies to pacify him, but I decided to serve them lunch instead of more biscuit cookies. He sat down to eat lunch for a few minutes. He nibbled on the cheese from the mini slider sandwiches. As I served lunch to the other passengers, I saw him out of the corner of my eye crawling around on the floor again. The mother and the grandmother were both drinking hot coffee which he could have easily spilled and burned himself. I told him it was time for a nap and grabbed a blanket and toy for him to settle down to sleep. Houston to Chicago is a 2 hour and 30 minutes flight which too long to have a child hiked up on sugar crawling everywhere. I prepared a bed on the bulkhead floor with blankets as a sleeping mat for him and sang "Brother John " to him in French. Next, he decided that he wanted to crawl into his mother's lap. Then, he fought the sleep and finally dozed off to sleep in his mother's arms giving all of us a much needed break. This flight reminded me of my days as a Mom traveling internationally with a baby and toddlers on long haul flights. I will share some tips with you of how to make flying with little ones easier on the parents and the rest of the passengers. My grandmother always believed in a giving a child sitting lessons in case you are in a restaurant and want to enjoy your dinner without chasing your child around the restaurant. This same idea applies to flying with children. This is a project that may take a month or more depending upon your active child. Most important, do not give your child any sugar snacks or drinks because sugar will cause them to be cranky or restless. Begin with having your child sit in a chair for a few minutes a day. Try five minutes or less then the next day add a few more minutes until you reach one hour to two hours. Children should be able to sit in a chair without watching TV or a DVD player because during takeoff and landing all electronic devices must be stowed away. After your child has learned to sit still, then you can add toys, coloring, or reading a book. If your child is throwing toys at home they will do the same at the airport and on the plane. Arrive at the airport a few minutes early if possible so they can watch the planes land and take off. Show them pilots and flight attendants that are passing through the airport. Teach them to say hello, goodbye, please and thank-you to the flight attendants and pilots. As you board the plane, you can ask the flight attendants if it is okay to say hello to the pilots in the cockpit. Have your camera ready to get a photo with your child in the cockpit with captain. For more tips on the "Sitting Game" read my other article " How to keep babies and toddlers seated on a plane?"